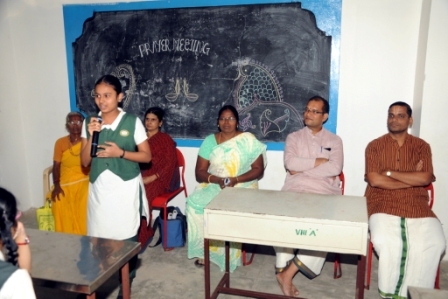 Quarter finals / Semi Finals and Finals of the Puranava 2016– Inter District Indian Heritage Quiz Competition were held in Bharatiya Vidya Bhavan, Race Course road, on the 17th September 2016. 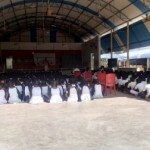 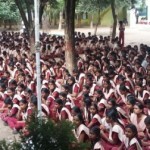 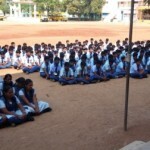 86 schools from Bangalore participated in this year Puranava from Bangalore. 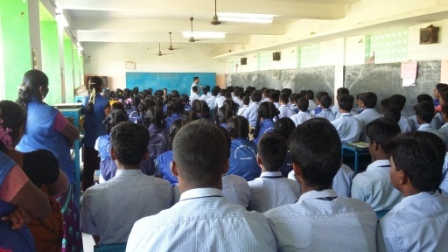 Students, Teachers and Parents were all enthusiastic and preparing till the last minute to see their school qualify to the semi-finals. 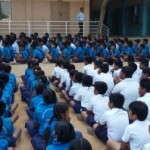 Over 250 students had come in from the various qualifying schools to cheer up their participants. 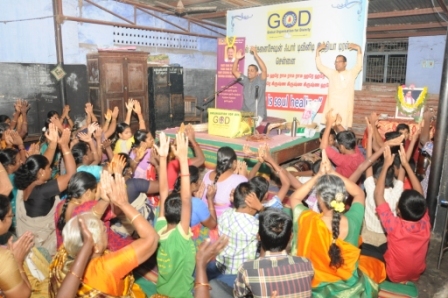 The Program commenced with lighting of the lamp followed by chanting of the Mahamantra by all the GOD volunteers and the audience. 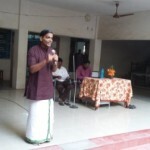 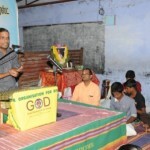 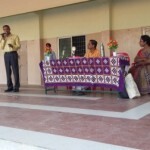 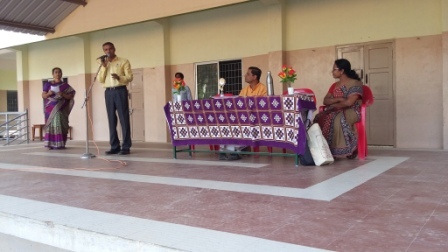 Abhishek Narayan compered the entire program including introduction to the GOD activities. 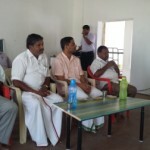 6 teams from the Semi-finals were selected to the Finals of Puranava. 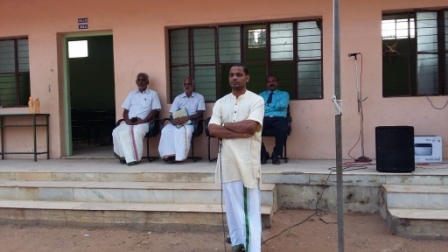 Nama Sekar was the Quiz Master for the Semi-finals which was keenly contested amongst the teams. 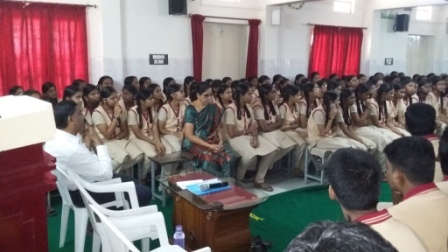 Ms. Madhuri Narayan conducted the finals of Puranava 2016. 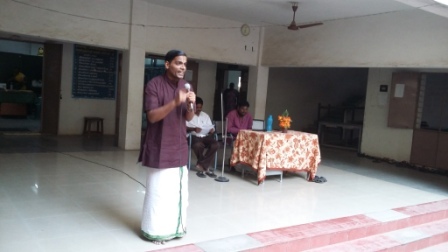 This year featured a variety of entertaining rounds for both semi-finals and finals including Srimad Bhagavatham slokas. 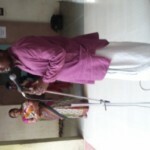 Many interesting new rounds were introduced. 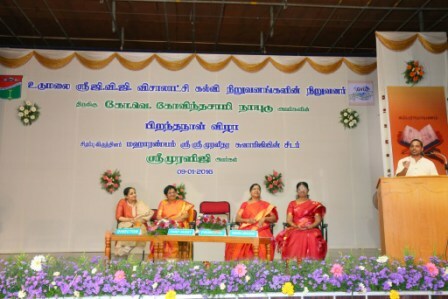 ITI – K.R Puram was the Winner, followed by Pawan English schools as the 1st runner up and Chinmaya Vidyalaya as the 2nd runner up. 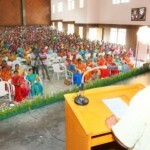 All the 3 teams were presented with Gold trophy/ Medal, Silver trophy/ medals, Bronze trophy / medals respectively. 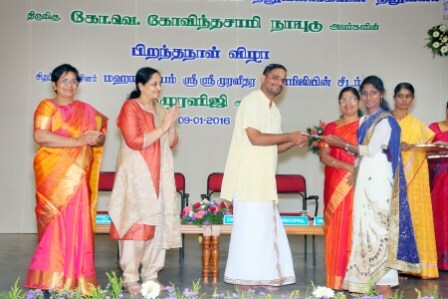 Participating students from both the Semi-finals and the Finals were presented with Certificates and gift vouchers. 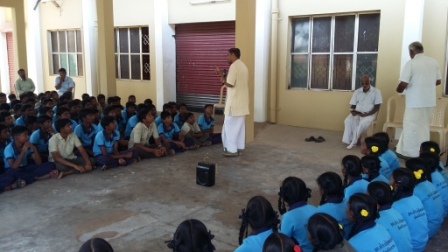 With the wonderful grace of our Sri Swamiji, School Mass Prayers for the 10th/ 12th standard (appearing for board exams) have been conducted around Gudiyatham on 05th & 06th February 2016. 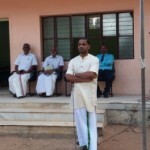 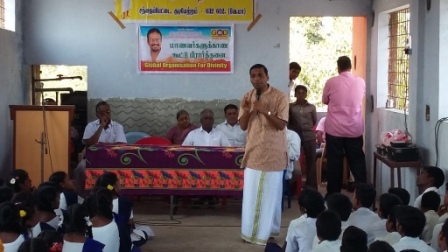 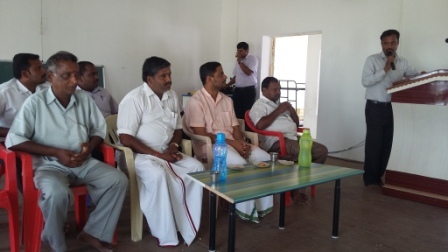 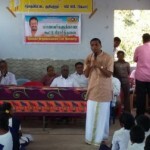 The arrangements have been made very well by Sri Manickam & supported by local co-ordinators. 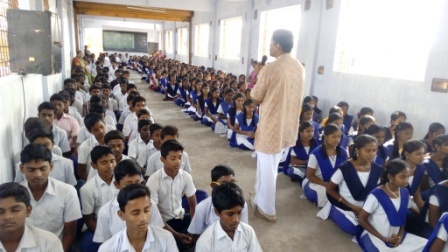 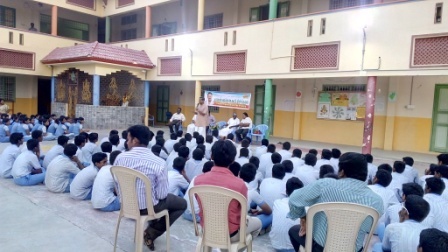 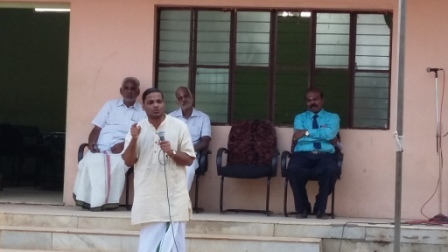 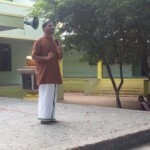 Sri Muraliji representing our GOD India, attended to these School prayers and gave lectures. 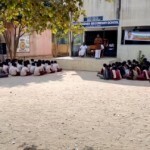 With the grace of our Sri Swamiji, School Mass Prayers for the 10th/ 12th standard (appearing for board exams) have been conducted at Wallajahbad/ Sriperumbudur on 03rd & 04th February 2016. 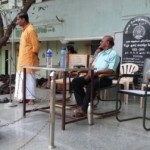 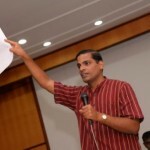 The arrangements have been made very well by Sri Sundar. 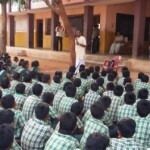 Sri Muraliji representing our GOD India, attended to these School prayers and gave lectures. 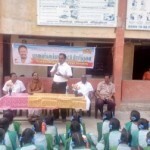 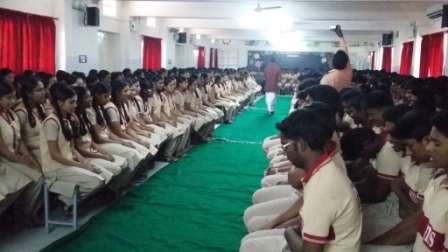 With the grace of our Sri Swamiji, School Mass Prayers for the 10th/ 12th standard (appearing for board exams) have been conducted at Dharmapuri on 02nd February 2016. 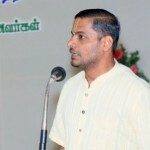 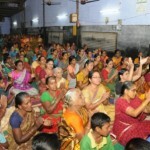 The arrangements have been made in an excellent way by Sri Chandramouli. 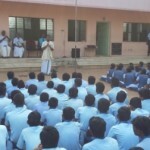 Sri Muraliji representing our GOD India, attended to these School prayers/ satsangs and gave lectures. 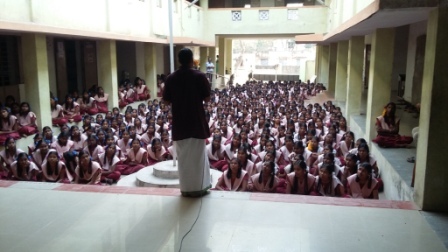 With the grace of our Sri Swamiji, School Mass Prayers for the 10th/ 12th standard (appearing for board exams) have been conducted at Salem on 01st February 2016. 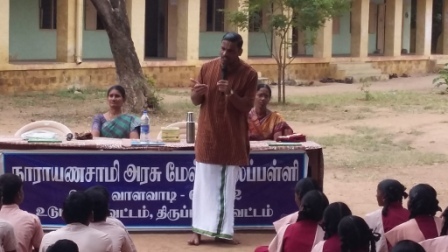 The arrangements have been made in an excellent way by Mr.Venkatraman & Mrs.Sheela. 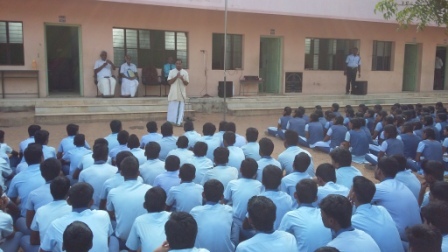 Sri Muraliji representing our GOD India, attended to these School prayers and gave lectures. 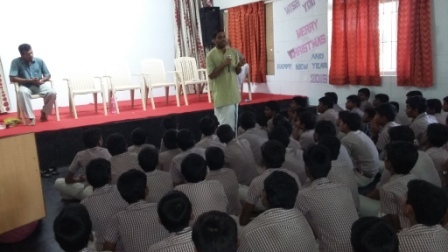 With the wonderful grace of our Sri Swamiji, School Mass Prayers for the 10th/ 12th standard (appearing for board exams) have been conducted around Mangaloor from 27th to 30th January 2016. 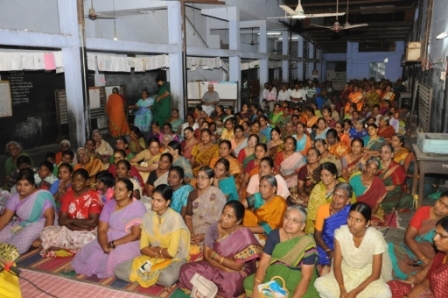 The arrangements have been made in an excellent way by Sri Murugadas. 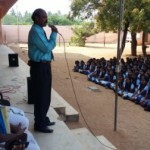 Sri Muraliji representing our GOD India, attended to these School prayers and gave lectures. 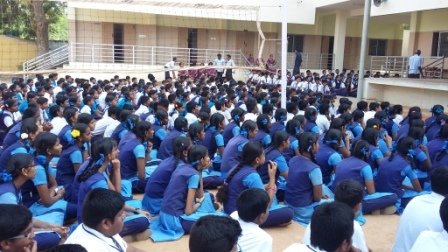 GOD Bangalore conducted a Motivational Lecture and Mass Prayer on 28th January 2016, for students appearing for X and XII Board examination at the Jnana Jyoti Auditorium – Bangalore university campus, Palace Road. 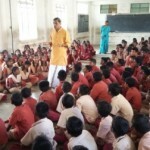 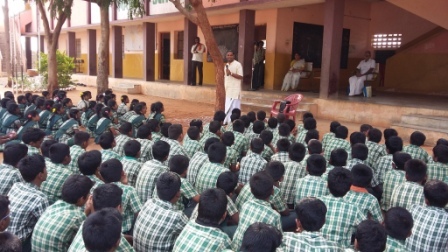 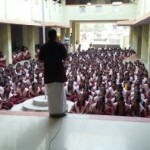 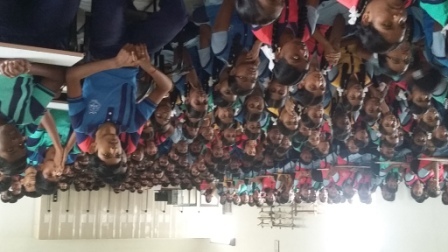 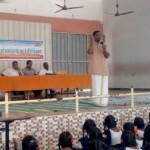 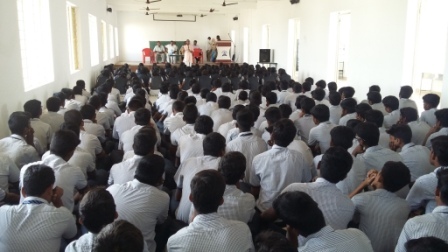 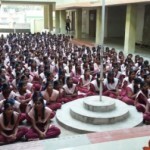 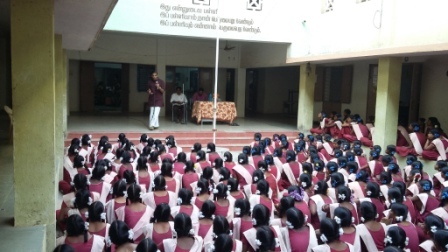 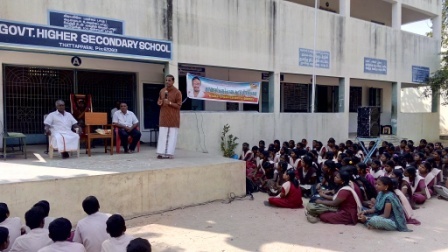 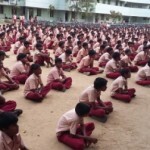 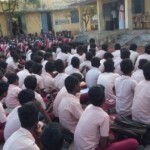 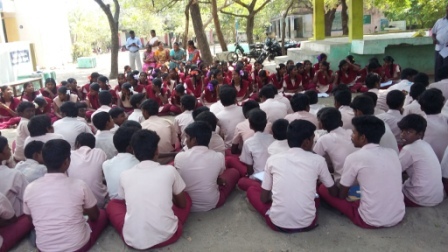 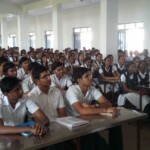 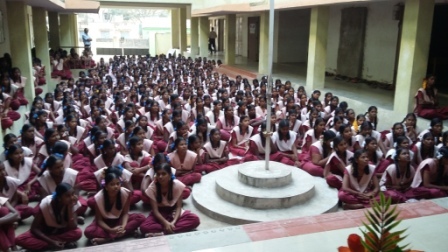 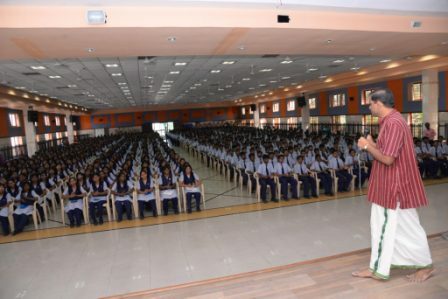 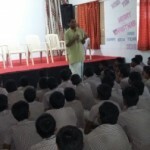 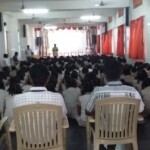 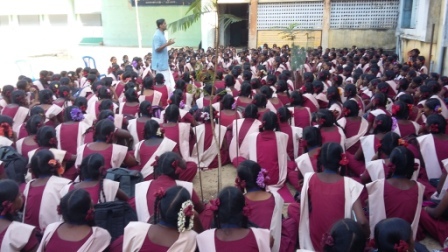 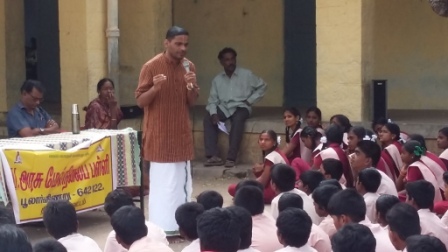 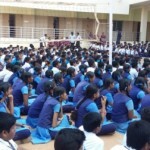 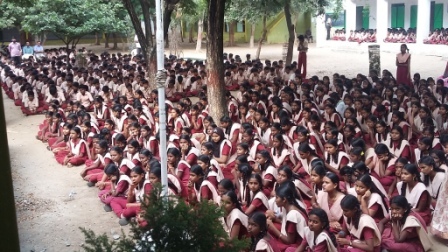 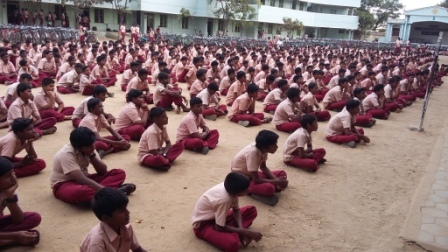 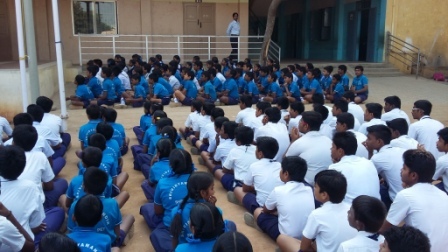 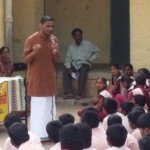 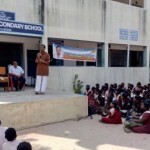 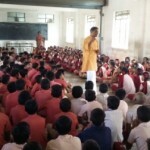 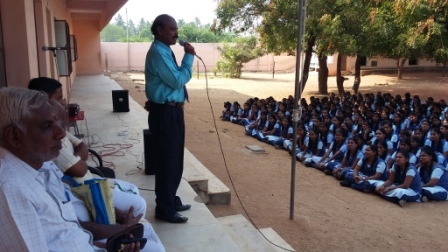 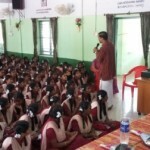 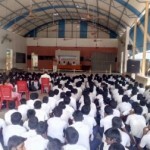 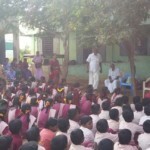 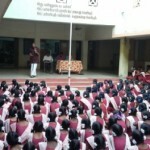 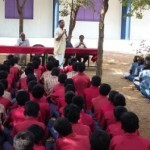 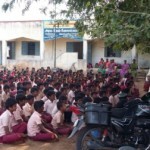 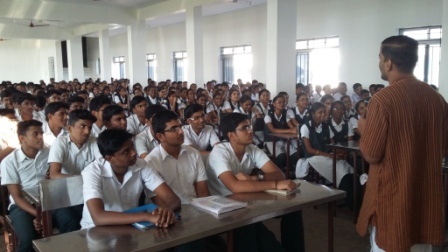 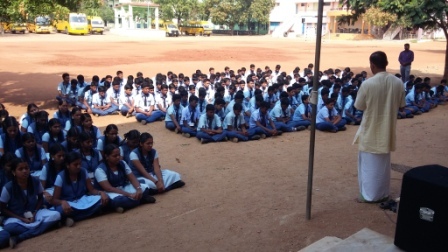 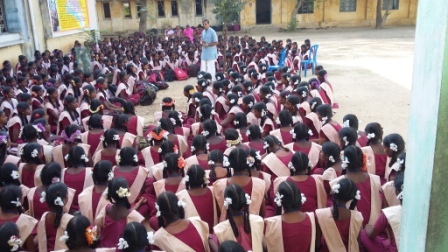 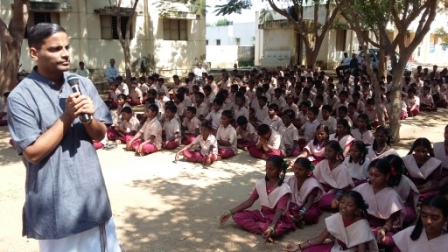 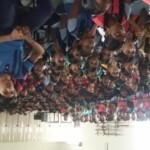 Over 1500 students across 25 schools in Bangalore participated in the session. 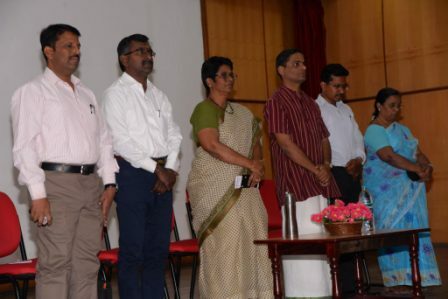 The program commenced with the lighting of the lamp by our GOD volunteers followed by rendering of the “Karnataka Anthem” by students of Chinmaya Vidyalaya – Koramangala. 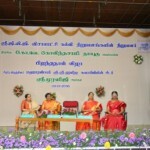 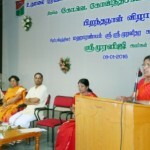 4 Heads of the institutions from Sri. 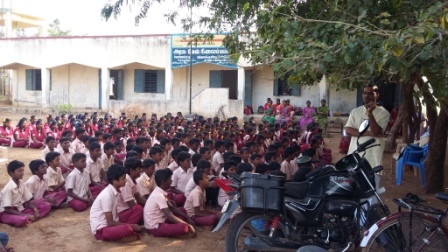 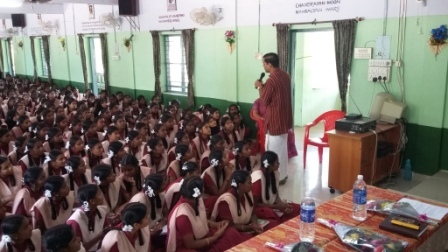 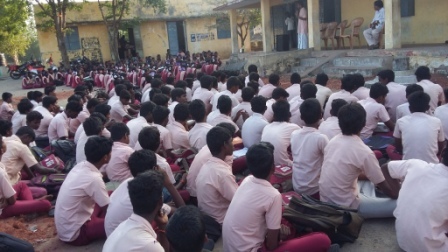 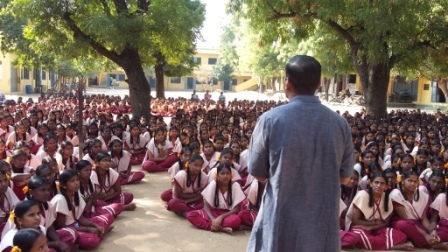 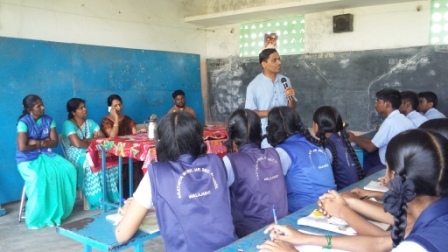 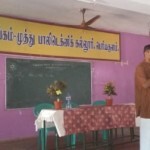 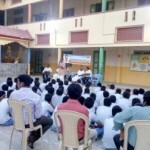 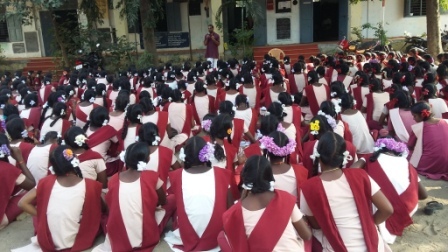 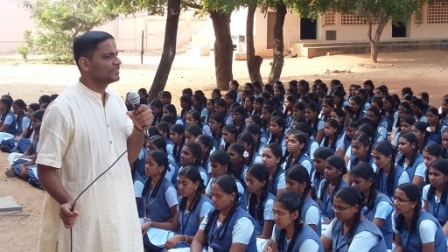 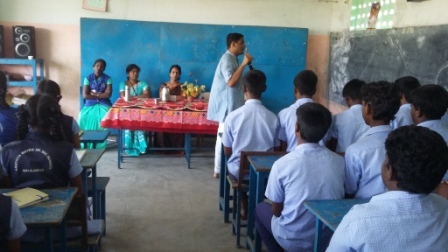 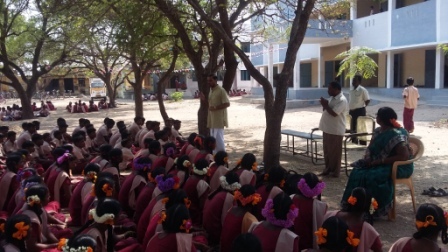 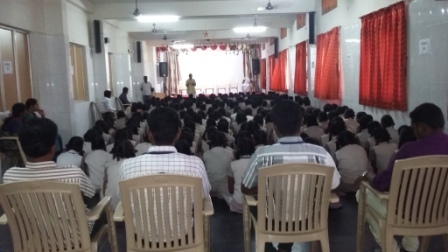 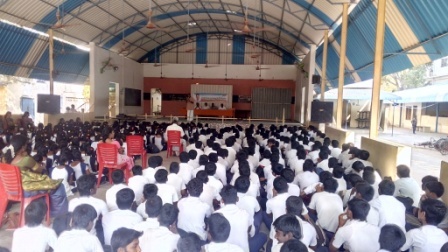 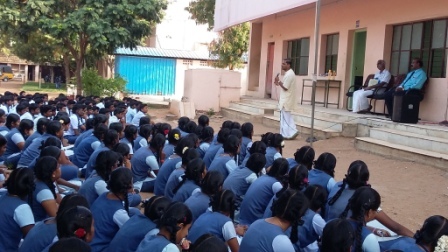 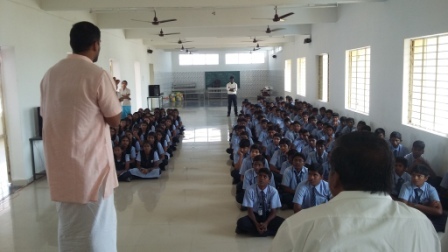 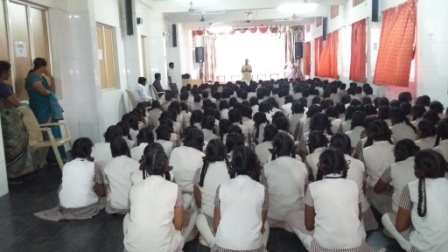 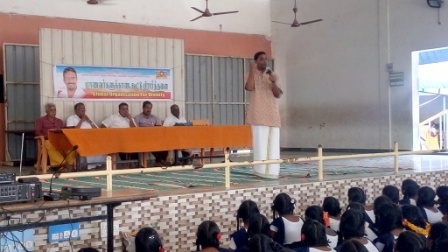 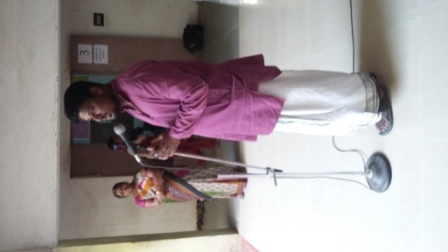 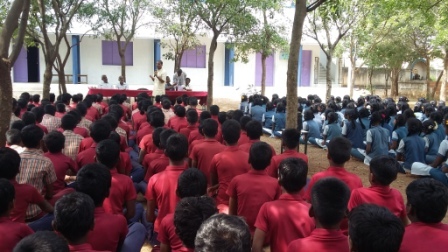 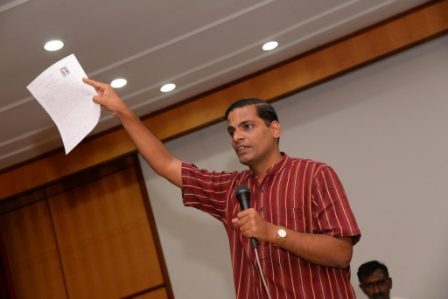 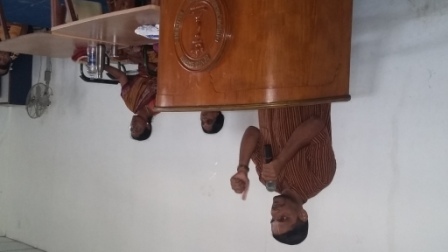 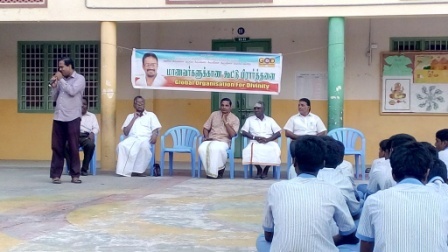 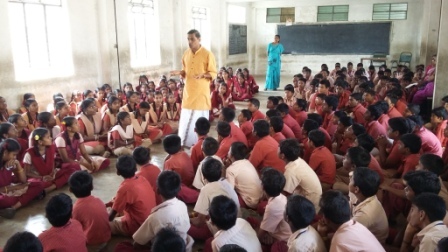 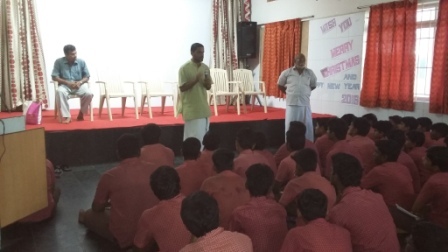 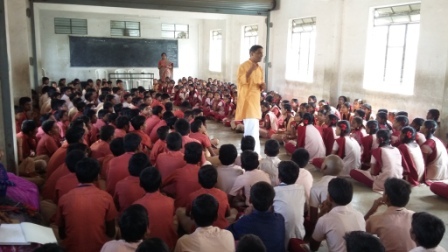 Venkateshwara High School, Prasiddhi High school, Indian High school & Chinmaya Vidyalaya who have been attending the GOD program since last 5-6 yrs, spoke about the benefits the students derive from these lectures and the results attained by these schools. 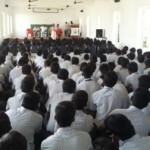 2 of the past students spoke on their excellent academic achievements post attending the Student Mass Prayer sessions. 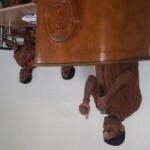 This was followed by a presentation by Sri. 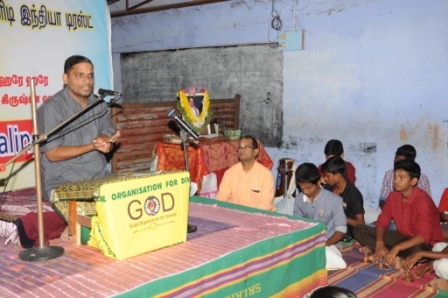 Delhi Kumar on the GOD activities around the world detailing our mission and in particular about the program(s) conducted in Bangalore. 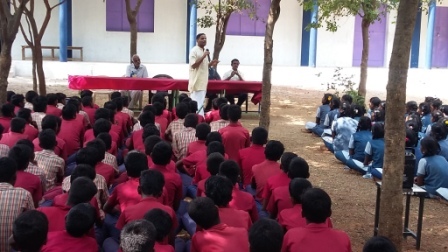 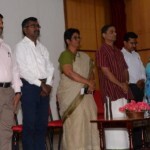 For the 3rd year in succession, GOD – Bangalore awarded scholarships to meritorious students of class X and XII coming from under privileged society to partially support them for their school fees and higher education. 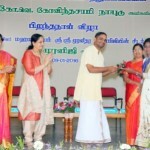 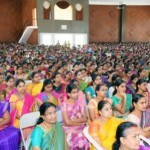 This year, 28 students received the scholarship from the hands of Sri Ramanujamji. 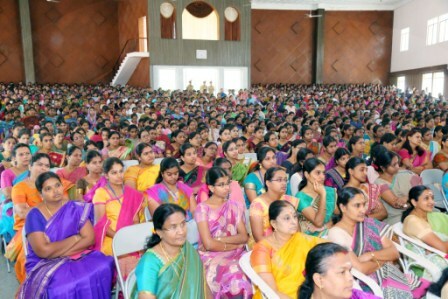 Inspirational lectures were delivered by Sri Abhishek Narayan and Sri Gurumurthy. 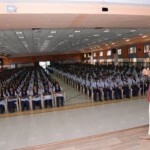 The program culminated with Sri Ramanujamji explaining the power of concentration attained through the chanting of the Mahamantra and the exponential results that can be achieved by practicing this regularly. 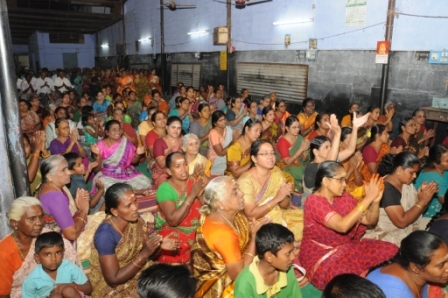 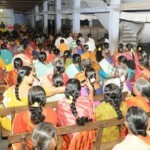 The entire audience was reverberating with Mahamantra chanting thereafter. 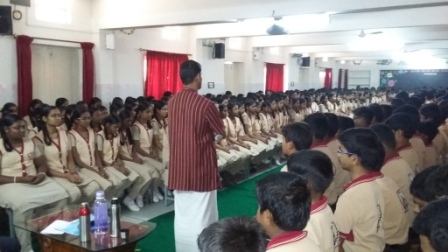 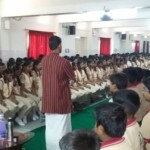 The feedback mails and messages received post the mass prayer session from the various school management was extremely encouraging with many schools acknowledging the benefits to the students coming at the most appropriate time. 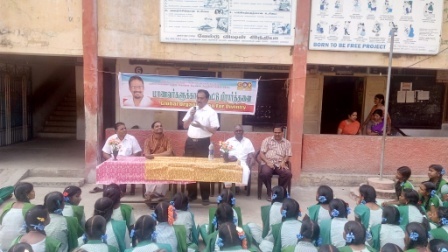 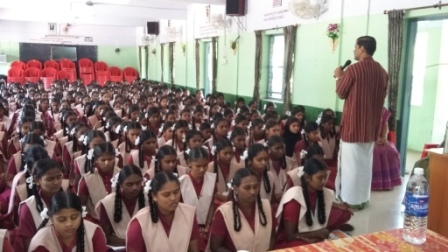 The Management of every school had thanked GOD Organisation for recognizing and awarding scholarship to the needy students and encouraging them at the right time. 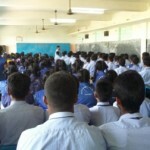 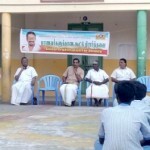 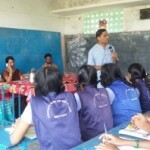 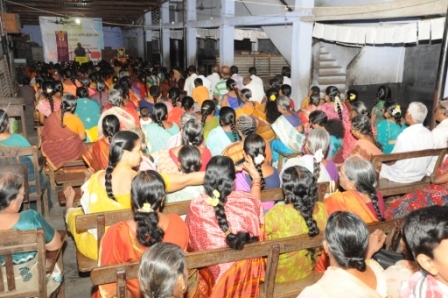 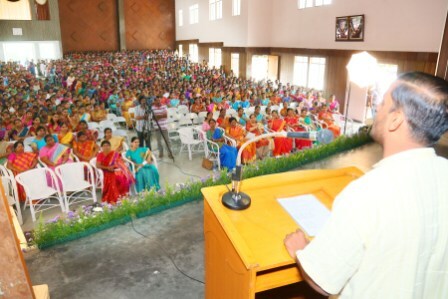 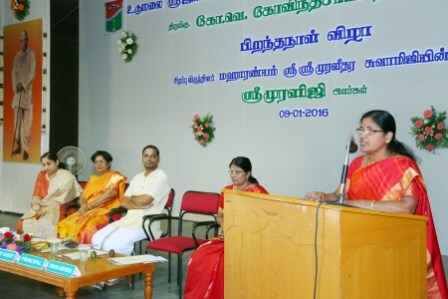 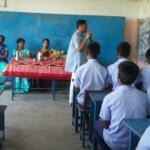 Many schools have expressed the desire to hold similar sessions in their premises as well. 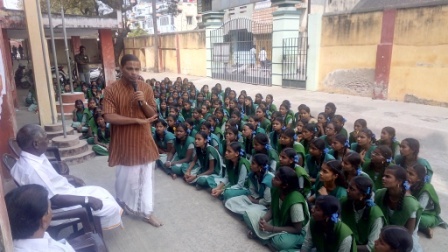 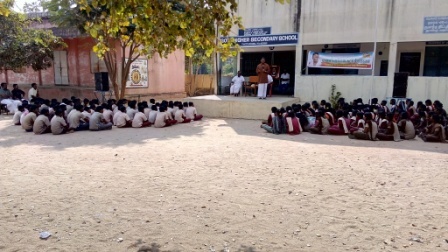 With the wonderful grace of our Sri Swamiji, School Mass Prayers for the 10th/ 12th standard (appearing for board exams) have been conducted around Udumalpet along with a college program from 8th to 9th January 2016. 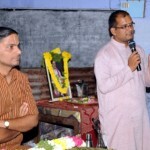 The arrangements have been made in an excellent way by Sri Premilaji. 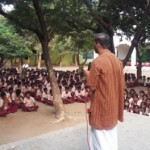 Sri Muraliji representing our GOD India, attended to these School prayers and gave lectures. 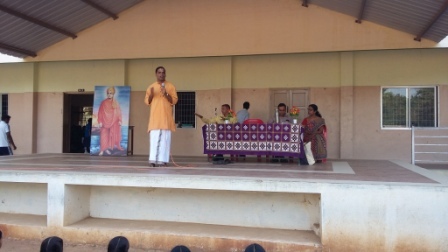 With the excellent grace of our Sri Swamiji, School Mass Prayers for the 10th/ 12th standard (appearing for board exams) have been conducted around Batlagundu on 06th January 2016. 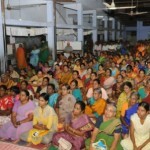 The arrangements have been made in an excellent way by Sri Shankarji & supported by Sri Shankar Ramanji/ Sri Jayaramanji. 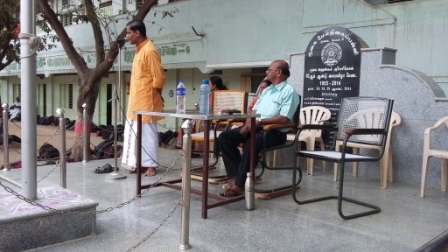 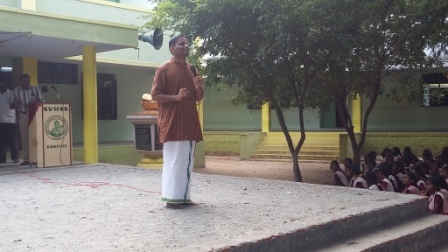 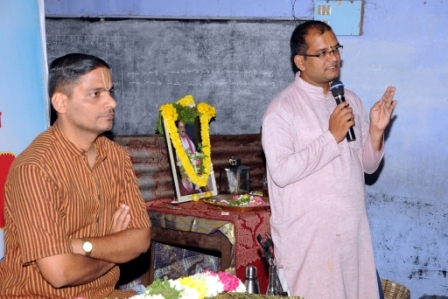 Sri Muraliji representing our GOD India, attended to these School prayers and gave lectures. 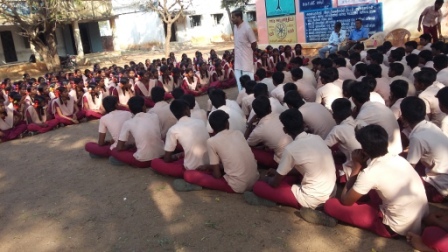 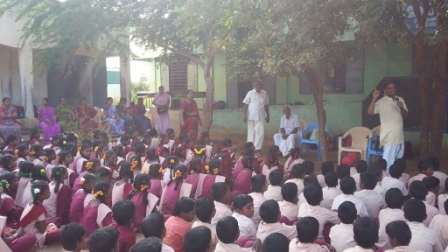 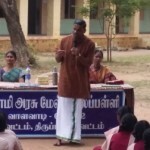 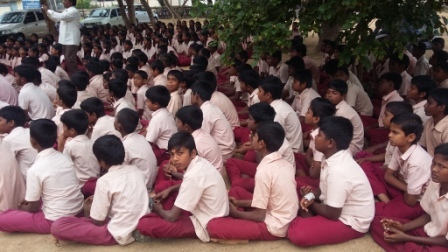 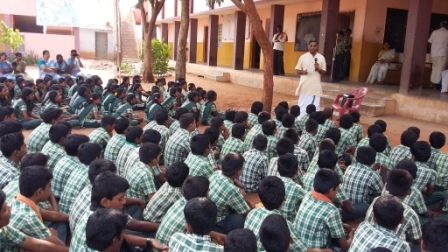 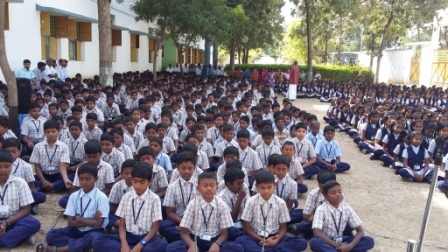 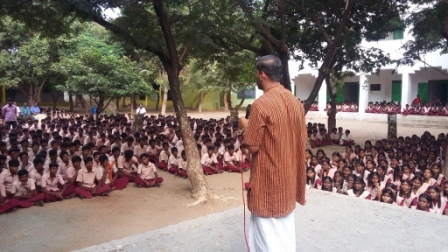 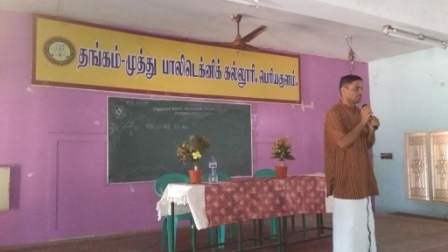 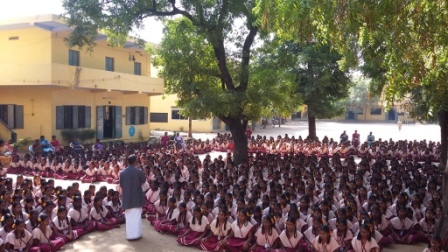 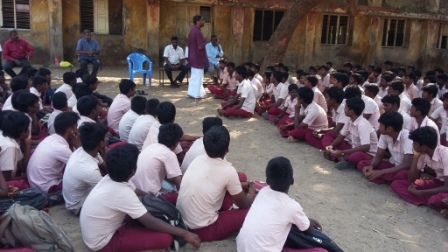 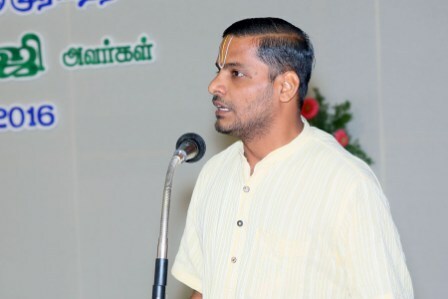 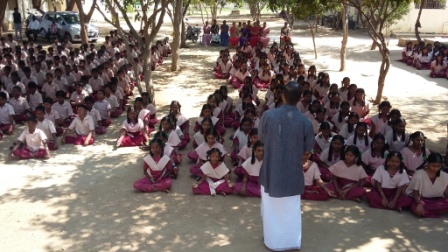 With the grace of our Sri Swamiji, School Mass Prayers for the 10th/ 12th standard (appearing for board exams) have been conducted at Periyakulam, Podinayakanur & Theni from 04th to 05th January 2016. 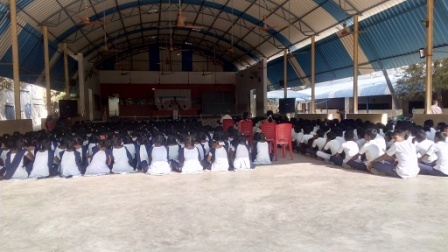 We also had a Mass Prayer for the general public at Triumph school, Periyakulam on 5th & 6th January 2016 (Attended by 450 devotees). 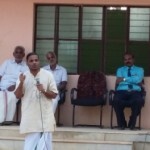 The arrangements have been made in an excellent way by Sri Krishnakumar. 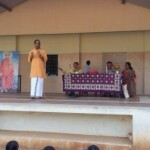 Sri Muraliji representing our GOD India, attended to these School prayers/ satsangs and gave lectures.